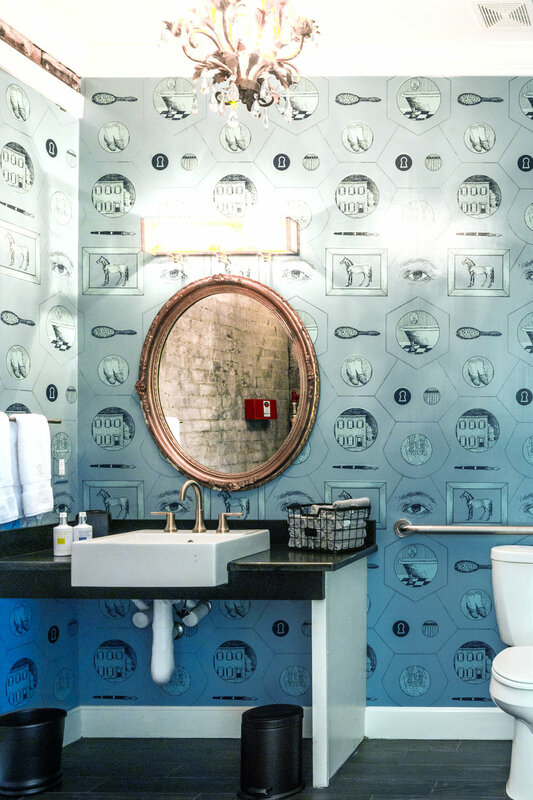 The Germantown Inn is a boutique hotel housed in a 19th century building in Nashville’s historic Germantown neighborhood. 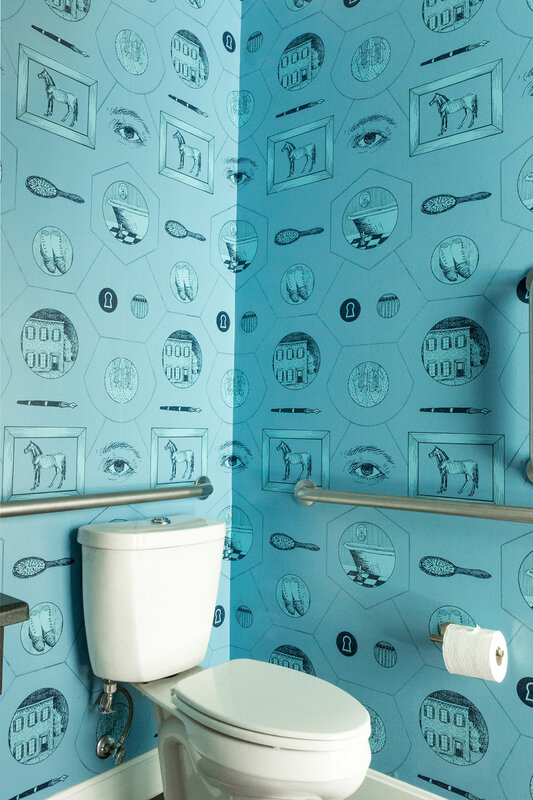 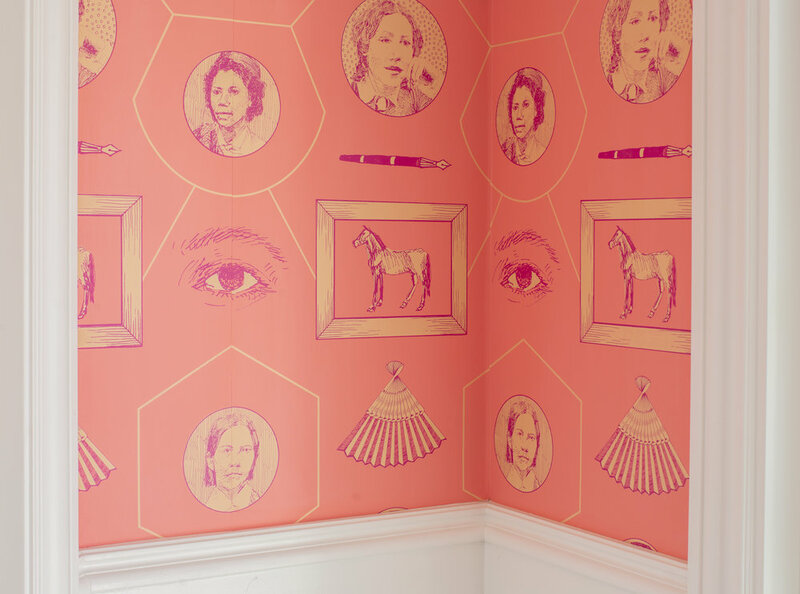 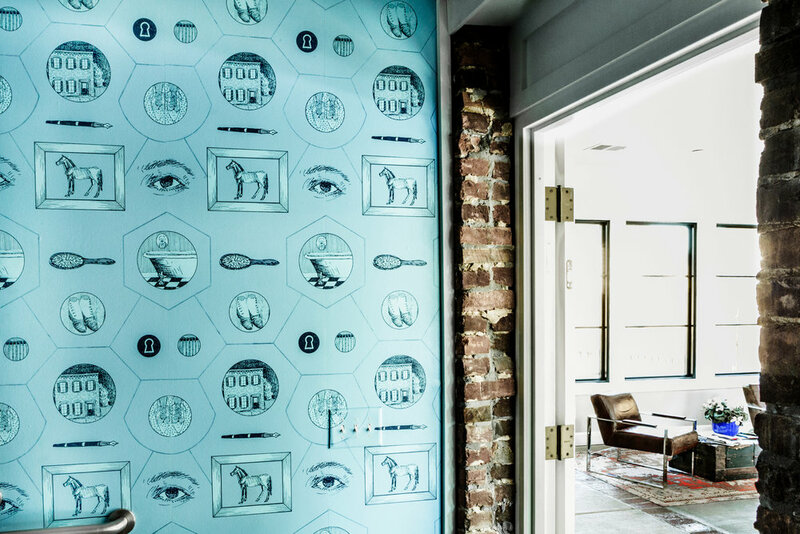 For their lobby powder room we created a pattern based on salon-style wallpaper motifs from the 1840's. 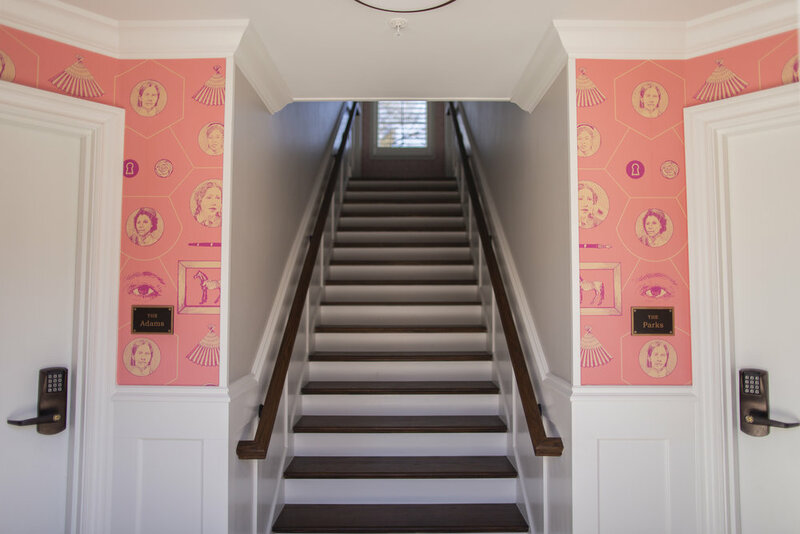 Playful and patriotic illustrations connected by geometric fretwork are a contemporary nod to the building’s storied past and to the current hotel’s presidential-themed guest suites.